In 2017, the largest segment in the total MIS implant market was the MIS pedicle screw market segment, which accounted for the majority of the total market value. The major driving force behind growth in the MIS pedicle screw market is the perceived physiological benefits of minimally invasive surgery to the patient. These include reduced trauma, shorter hospital stays, lower post-operative medication use and a quicker return to work. The MIS pedicle screw market is expected to increasingly cannibalize revenue from the traditional cervical and thoracolumbar fixation markets. 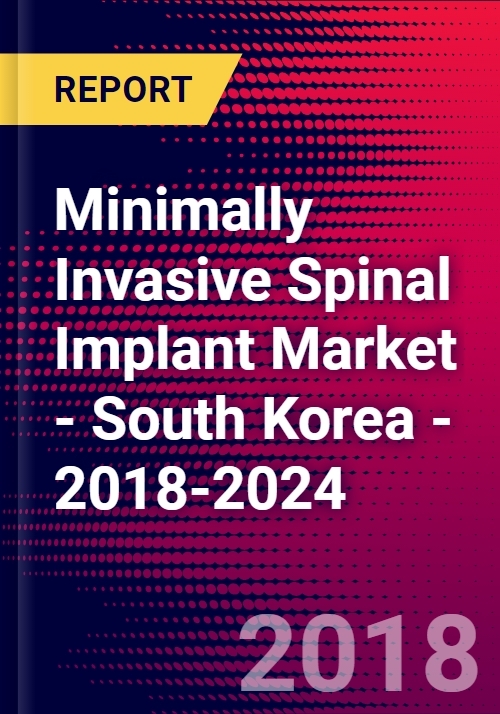 The full report suite on the South Korean market for minimally invasive spinal implants (MIS) includes segments for MIS interbody devices, MIS pedicle screws and MIS spine instrumentation.